This photo was taken during a home inspection conducted by my Company, Magpie Property Inspections LLC in Aurora Colorado. Many older homes like this one built in the 1960’s and earlier were originally plumbed with galvanized pipes as illustrated above. The typical lifespan of galvanized steel is anywhere from 25 to 40 years. Steel pipes are galvanized when they are dipped into molten zinc. This coating helps prevent deterioration inside and outside the piping, but after decades of use, corrosion and rust will normally build up on the inside of these pipes, which can cause problems. To determine what type of pipes you have, there are a few ways you can tell. One easy way is to find the area where pipes enter your home and carefully scratch the pipe with a metal object. If the surface of the pipe is the color of a penny, then the pipe is probably made from copper. Galvanized steel pipes, on the other hand, are a steel-gray color. In many older homes, some of the old galvanized plumbing may be partially replaced with copper plumbing. When combining metal pipes of different types, it is important to install proper connections. Dielectric unions stop corrosion between different types of metal caused by electrolysis by using a rubber or plastic washer and sleeve to keep the metals from touching. 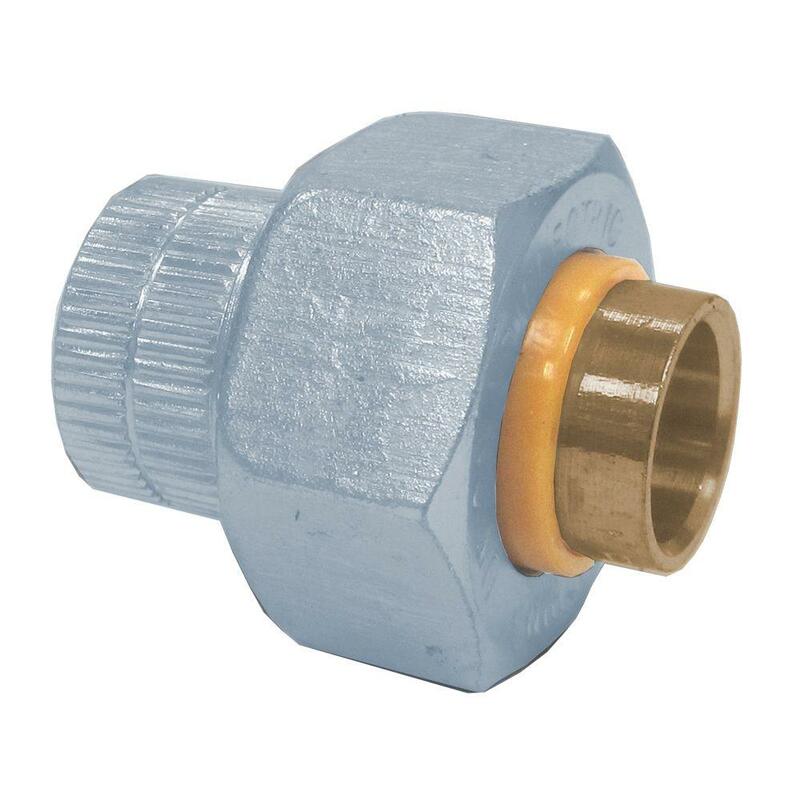 In the illustration above, copper and galvanized plumbing has been improperly joined without the appropriate connectors. The image next to the older plumbing is a standard dielectric connector. If you have concerns about your older plumbing, make sure to have it evaluated by a qualified licensed plumber to make the appropriate repair. ← Mold – Bio Growth Remediation.